British Salt, the UK’s leading manufacturer of pure dried vacuum salt products, recently approached Sofis partner Prosafe Engineering to help solve a problem with their manual valve operations. British Salt has 2 steam turbines that each have 2 valves on the exhaust discharge. On each turbine there is a fixed actuated valve and a 20” NB bevel gear valve attached to an extended spindle. The manual valves are very difficult to operate and can take up to 20 minutes to either open or close. When the turbines are switched over, one valve has to be fully open before the other valve on the opposite stream is fully closed. It could take up to 1 hour of continuous manual valve operation to actuate the valves during turbine change over. British Salt enquired about installing an actuation device to allow the valves to be opened and closed quickly. The plant already have a fixed actuator on one of their valves. However, this was expensive to install and is difficult to operate at times when their operators have to work the valve manually. As the customer comments: “Each turbine has two exhaust valves. One of the two is fitted with an actuator. This is expensive and cannot be easily hand operated in the case of a malfunction”. The Mechanical Engineer at British Salt came across the Sofis EasiDrive solution in a Health & Safety journal. EasiDrive was put forward by ProSafe Engineering as a compact and agile solution to effortlessly open and close valves. The portable actuator provides safe and easy actuation of manual valves that are difficult to operate manually. Manually operating such valves sometimes results in injury through repetitive strain by an operator. 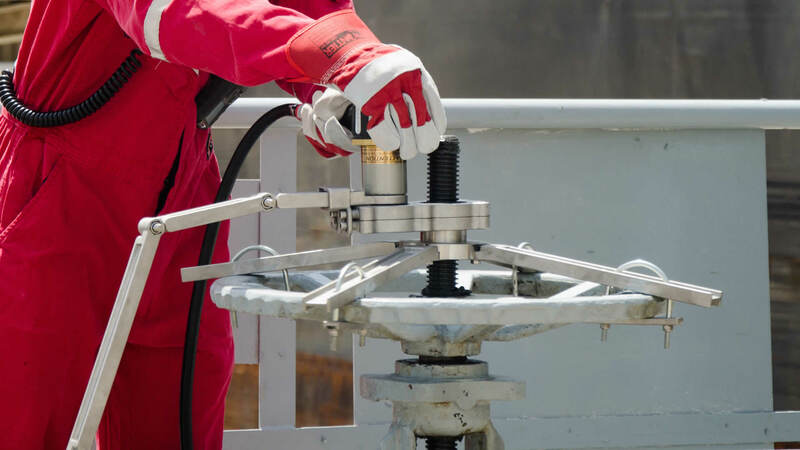 The custom made reaction kit absorbs any potential kick that may be produced once the valve reaches its open or closed limits, making it a safe and simple solution for operators to use. EasiDrive is versatile and can be powered by pneumatically or by electricity. Torque of up to 950NM can be generated, depending on the client’s choice of tool. The customer’s experience with EasiDrive is very positive: “We fitted the EasiDrive brackets to the valves and have found that the EasiDrive is far more effective than we had expected. It is still early days, but the solution looks good and there are no complaints from our operators”!